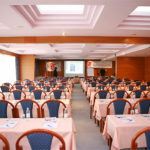 The conference hotel is Hotel Kolovare (4*). It is located at Bože Peričića 14, 23 000 Zadar, Croatia, near the historical sights of the ancient city of Zadar, in a peaceful and picturesque part of the city. 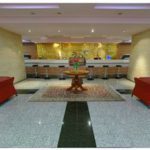 The hotel has a modern architectural structure adapted to the Mediterranean style and it has modern and luxurious equipped rooms with air conditioning. All rooms are non-smoking. All rooms are furnished in modern style with 100% cotton bed linen. 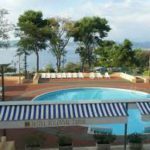 The hotel facilities include an à la carte restaurant, wine boutique, a bar, hair salon, massage parlor, congress hall, rent-a-car, an outdoor swimming pool for children and adults, and a sports and recreation center with tennis courts, volleyball court and miniature golf court. There is a beach near the hotel. Special room rates are available for MED’18 participants. *The room rate includes breakfast and VAT. It does not include City Tax of 8 HRK per person/day. 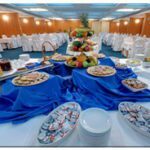 The above room rates are available for a period of two (2) days before and two (2) days after the conference, subject to availability of rooms at the time of reservation to accommodate those who wish to extend their visit to Zadar. To book at the these rates, please use the online booking at the Hotel Kolovare web site (http://www.hotel-kolovare.com/en/) using the access code “MED2018“. The reservation cut-off date is May 19, 2018 at 17:00 CET. Reservations received after that date will be accepted based on space availability. Each participant is responsible for his/her own booking. Please mind the hotel reservation and cancellation policies. All questions regarding hotel accommodation should be directed to info@hotel-kolovare.com. 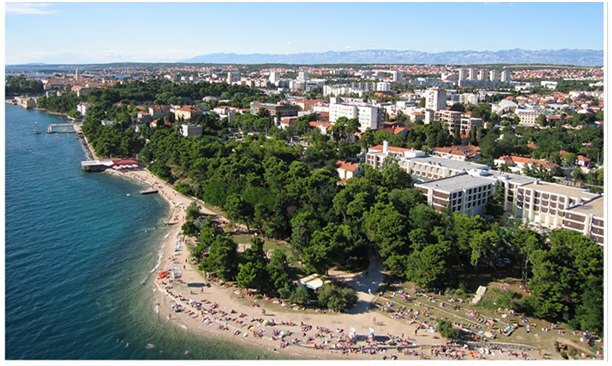 Zadar is a popular tourist destination. 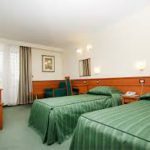 There are many accommodation options in the vicinity of the conference hotel, for any budget – starting from simple 40 EUR private rooms and condos, to 200+ EUR luxury hotels, apartments and private villas.